VW denied claims that former finance chief Hans Dieter Poetsch, now the automaker's chairman, failed to inform investors about the potential financial implications of the emissions test cheating in a timely manner. FRANKFURT -- Volkswagen denied allegations that Chairman Hans Dieter Poetsch knew about the automaker's emissions test cheating almost three months before U.S. authorities made it public in September 2015. Citing internal documents from investigators, German weekly Bild am Sonntag reported that Poetsch, VW's finance head at the time, learned about the company's violations of the rules in late June 2015. The paper cites a confidential presentation from the VW legal department, available to investigators in proceedings about the automaker's alleged market manipulation. A presentation called "Sacramento" dated June 24, 2015 stated that U.S. emissions rules were being violated and that the company may also have breached its supervisory obligations, Bild am Sonntag said. Testimony from a leading VW lawyer, who is referred to as "witness P", said Poetsch received the presentation on June 29, 2015, the paper said. Poetsch was also informed then that 600,000 vehicles in the U.S. were affected and that the financial risk for VW stood at 35 billion euros ($39.8 billion). VW said in a statement on Sunday that it had been aware of the allegations for some time. "The presentation by the witness P. is emphatically rejected as inaccurate." The diesel issue was the subject of a number of discussions with Poetsch in the summer of 2015, VW said. "However, none of these discussions had the content and quality which could have made capital markets law relevant for Mr. Poetsch," the company's statement said. VW said that until the publication of the Notice of Violation by the U.S. authorities on September 18, 2015 it did not have sufficiently concrete indication of a situation that could be share price sensitive. 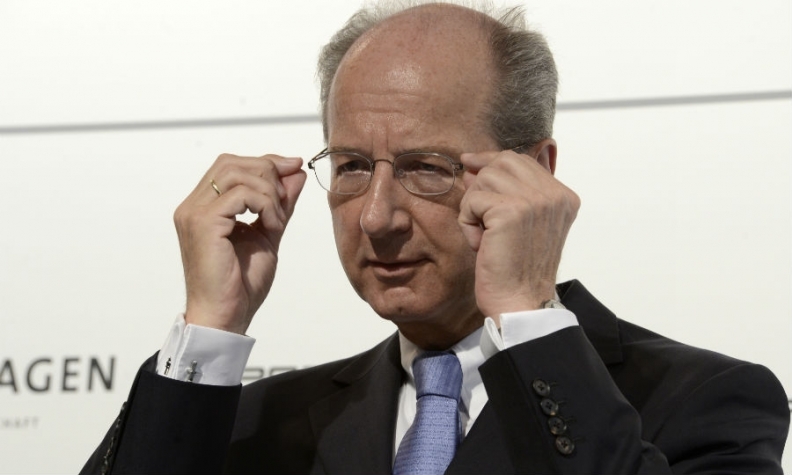 Poetsch became VW chairman shortly after the diesel scandal broke in 2015. Plaintiffs in a market manipulation lawsuit in Germany say Volkswagen failed in its duty to inform investors about the potential financial implications of the emissions test cheating, which has so far cost the company 27.4 billion euros in penalties and fines.